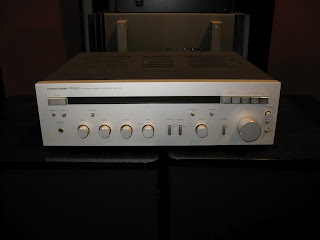 The Harman Kardon PM660 is an integrated amplifier that can deliver 80 watts RMS of power per channel into 8 ohms loads with very low distortion. 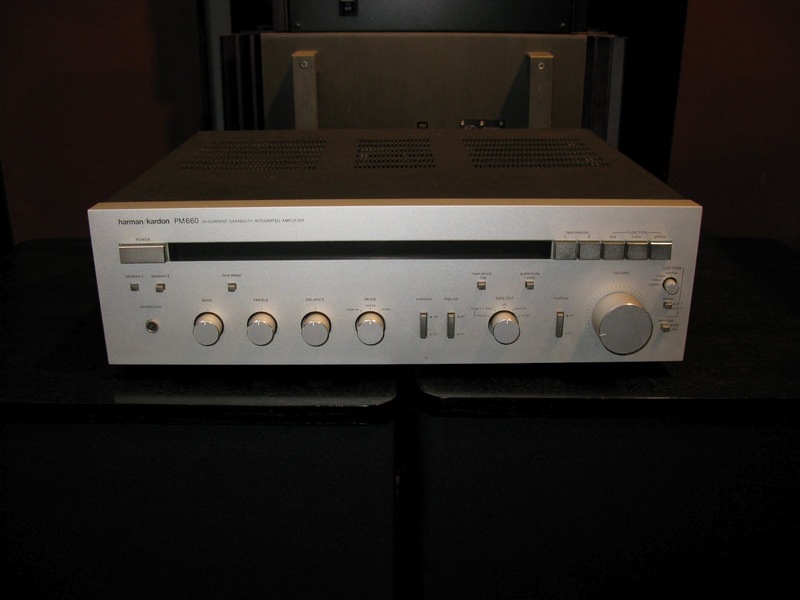 Harman Kardon is well known as a manufacturer of quality audio amplifiers. 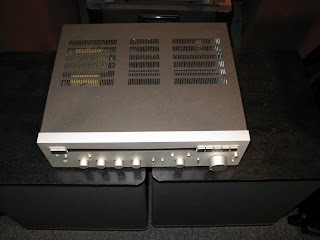 This was Harman Kadon's top integrated amplifier at the time and is well reviewed for its quality sound, has been checked out and is in excellent condition. Attention vinyl lovers! 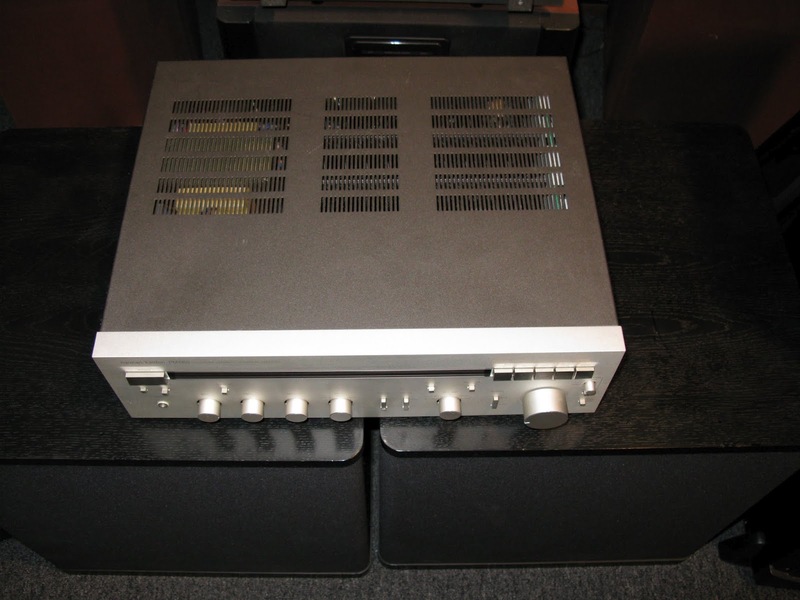 This was made in the days of vinyl and has MM (moving magnet) and MC (moving coil) capability. 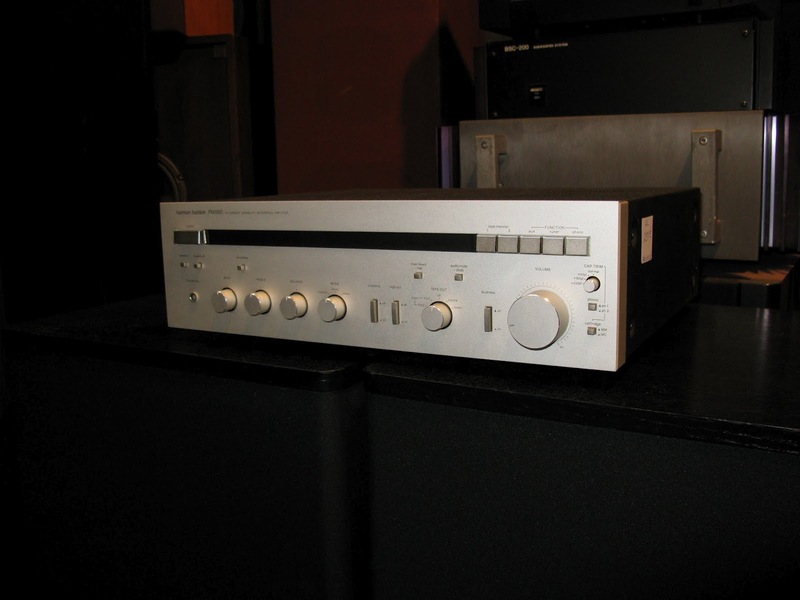 This includes an ultra-clean head amp (for moving coil cartridges) and various capacitance trim controls to select 4 different settings (normal, +100pf, +200pf, and +300pf) so that you can match to your phono cartridge precisely. 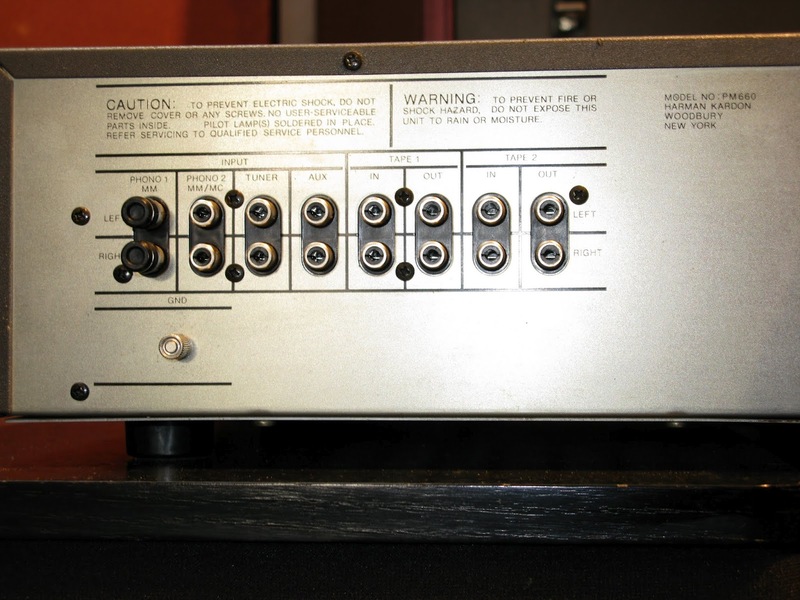 The back of the amp has two sets of RCA jacks for phono - one for MC and the other for MM. 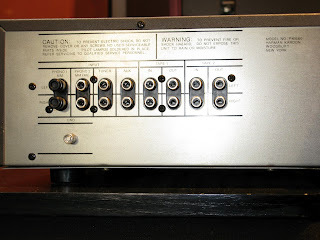 The front of the amp has a small button on the bottom right corner to select between MC and MM - so you can have 2 turntables hooked up!